I’m pretty late when it comes to putting my two cents into the “vampire craze” issue. But I’m having a great TIME! Is this one of the worlds of lore where vampires can fly? 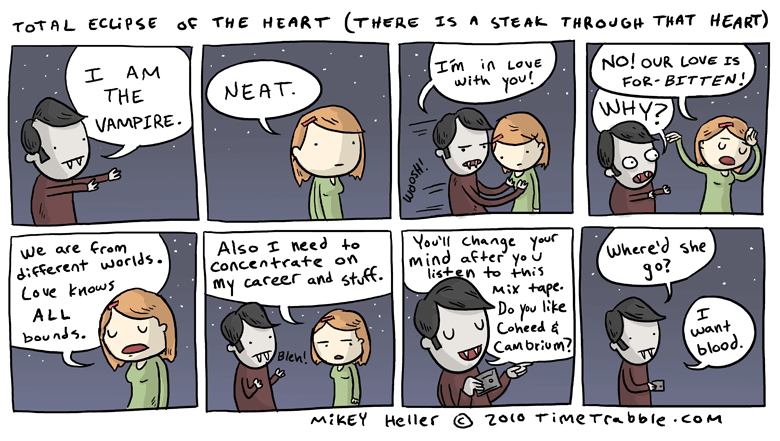 Mixtapes always win the ladies over when I use them. Guess Vampy’s losing his touch. You spelled “steak” however you meant to spell “stake.” There is a difference. Or maybe you meant steak, but that would be strange.